In Melbourne, we were lucky to see Annie the Musical! For a start, the Regent Theatre, itself, was just beautiful, extremely ornate, I'm guessing art nouveau style. I was told to not take photos inside the theatre, but I did manage to get these shots before that, hee hee! even if Annie sings it a kajillion times! But there are some other great songs and dance routines too, especially Hard-Knock Life, by the orphans. The cast was fantastic, especially those little girls, who are all about 10 years old, bless 'em! so, of course, she was brilliant. The sets were magnificent, being mostly the interior of a millionaire's mansion in the 1930s, so that suited me right down to the ground! I couldn't resist buying the Programme and CD on our way out. There's nothing like bellowing along to songs from a musical when driving in the car! I did that with the Wicked Soundtrack for about a year! Catch Annie if you can! I loved the movie of Annie and enjoy singing along. It sounds like the theatre show was fabulous! 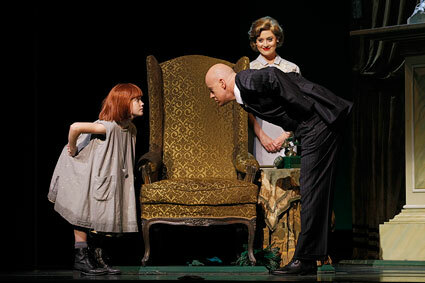 I saw the original production of Annie on Broadway (my wife was pregnant with our daughter at the time but we didn't yet know it for sure) and then the last revival. It is about to re-open for yet another run on Broadway. 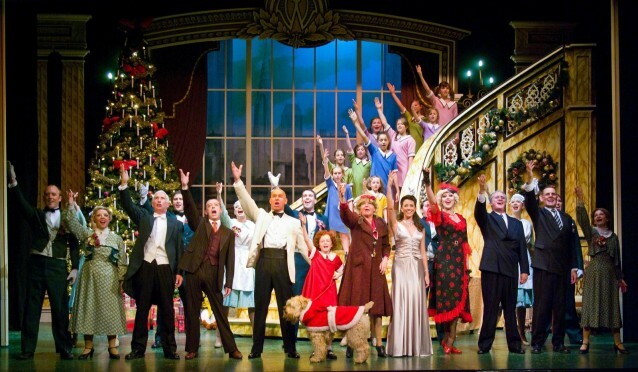 I also had the pleasure of being the musical director for an amateur production of Annie a few years ago.